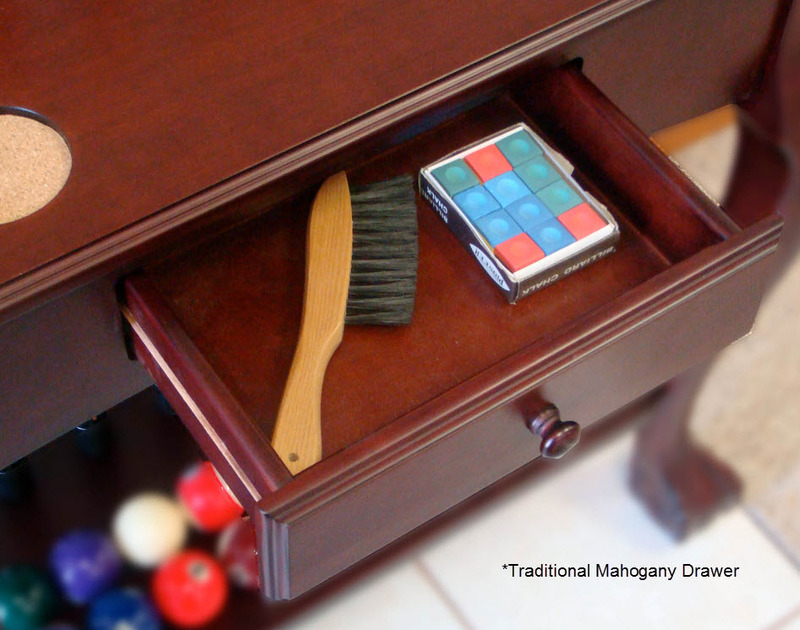 The Winslow Ball & Claw Cue Rack, is shown here in a Traditional Mahogany finish. Available in four different finish options, please click the detailed image of the color swatch to see the available finish selections. 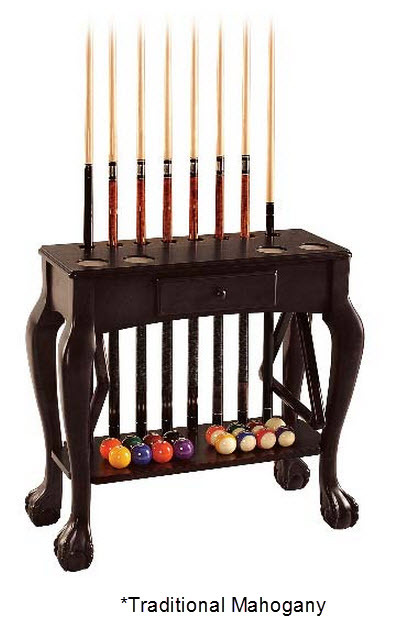 This cue rack serves as a classy storage option for cue sticks, pool table accessories, and balls.